Sports insoles are special orthotics designed to complement and promote optimal biomechanics in your foot. Your feet are vitally important in sports as it is through your feet that you move by running and poor biomechanics in the foot can lead to sub-optimal performance as well as aggravate existing injuries or create new injuries over time. Why Nuova Health Sports Insoles? The insoles that come with your trainers are most likely cheap and poorly made, ineffective and causing you injury. If you are serious about sports or do a lot of running then we recommend you throw the ones that come with your trainers out and get yourself some properly designed sports insoles. Nuova Health sports insoles are high quality, affordable and effective at helping to prevent and treat injury. Our sports insoles contain an arch support that promotes optimal biomechanical positioning of the foot helping to keep your foot in the ‘correct’ shape. The support also helps to cushion the foot and absorb shock and reduce stress on your joints. They help to alleviate and prevent pain in the heel and the arch of the foot. Enhanced shock absorption is required if you are pounding the pavements, road surfaces are hard unnatural surfaces that cause too much strain on the joints. Sports insoles help you to run harder, further and for longer. 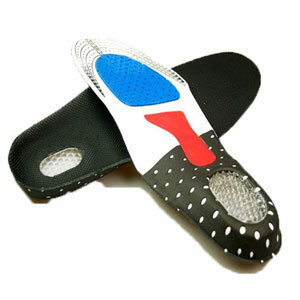 Our sports insoles also support and help to spread the metatarsal head via a metatarsal button. Thus our sports insoles can treat metatarsal injuries such as metatarsalgia or act to prevent metatarsal injury. Improves stability – Our insoles just feel great to run and walk in. Unisex and fits all sizes simply trim them down to reach your desired size – maximum size 10. For every day and/or sporting use. Easy to clean and comfortable to wear. Nuova Health magnetic back supports help to realign your posture and ease back and shoulder pain through magnetic therapy; 5 magnets are aligned down the center spine and 6 across the lumbar region. 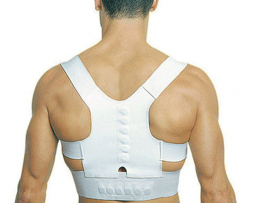 Support straps around the front shoulders help to pull the shoulders back for correct posture. – Helps you to appear taller and straighter. If you have a spinal disorder or injury then please consult your physician before using this product. We accept no responsibility for any injury caused by this product. 1 Pair (Left and Right) High-Quality Heel Grips. Why do you need to wear Heel grips? Ever found yourself slipping in your high heels or other shoes? Something as simple as wearing heel grips which will grip your feet to the soles of your shoes can be all it takes to stop slippage from happening and means you are no longer worrying of spraining your ankle in your high heels on a night out anymore. 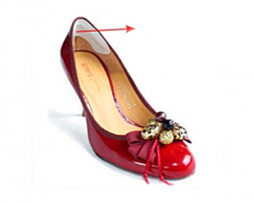 Heel grips act a bit like a long-lasting adhesive sticker preventing slipping and if you find that your shoes rub and cause irritation and chafing often found in loose-fitting shoes this should also help stop this. Excessive movement in loose shoes is linked to the onset of bunions so it is important to stop this from happening. If you are already suffering from bunions and wish to protect the bunions from further damage we advise you look at our bunion protectors. These also make a great gift to anyone you have noticed slipping in their shoes! Made from suede material to be flexible and durable heel our heel grips are the best you can find on the internet what is more we are so confident that you will like our Heel grips that if you are not 100% satisfied with the heel grips you can simply return them and get your money back. If you have recently injured your feet and want to make sure that your feet make a full and proper recover then we would highly recommend a pair of these gel insoles. 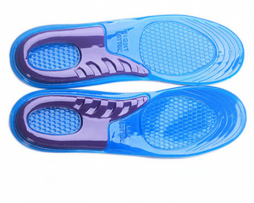 Wearing a pair of these gel insoles is a great way to give your feet extra support and protect stopping excessive strain and pressure causing further damage to them. These insoles make sure to correct any bio mechanical imbalances that you may have in your feet such as over pronation and supination making sure that your injury does not return. If you do not suffer from any specific injury but find that you are on your feet for long periods of the day and suffer from general aches and pains then wearing these insoles can help too. These insoles are made from medical grade silicone gel, that can help with aches and pain in the feet and heel, by stopping the build up of pressure underneath your feet by spreading this pressure evenly across your whole foot and massaging your feet. Made from medical grade adaptive silicone gel that massages and supports your feet. Ideal for those who are on their feet all day and suffer from foot pain and aches. Heel cups helps to increase stability and balance of your heels. Shock absorption prevents shock from causing damage to your feet making these insoles perfect for those who suffer from plantar fasciitis, shin splints, knee pain, hip and lower back pain. Works to restore and correct the function and biomechanics of your feet. 30 day money back guarantee means you have nothing to lose when buying!